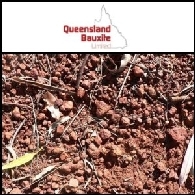 Queensland Bauxite Limited (ASX:QBL) is an Australian listed company focused on the exploration and development of its bauxite tenements in Queensland and New South Wales. The Company's lead project is the South Johnstone Bauxite Deposit in northern Queensland which has rail running through the project area and is approximately 15-24 kilometres from the nearest deep water port. The Company intends to become a bauxite producer with a focus on commencing production at South Johnstone as early as possible. 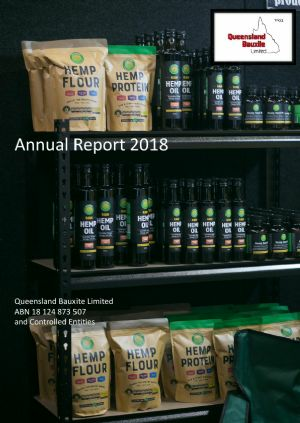 The Company also pursues additional investment opportunities, and has agreed to acquire a 100% shareholding in Medical Cannabis Limited, an Australian leader in the hemp and Cannabis industries, and a 100% shareholding in Medcan Australia Pty Ltd, a company with an ODC cultivation and production License and a DA approved Cannabis production and manufacturing facility. Laporan Pasar Australia 2 Maret 2011 memuat: Queensland Bauxite Limited (ASX:QBL) mendapatkan delapan petak bauksit baru; Neon Energy Limited (ASX:NEN) memberikan informasi terbaru mengenai eksplorasi minyak dan gas di Vietnam; AusNiCo Limited (ASX:ANW) mengumumkan perpotongan emas-tembaga dan nikel bermutu tinggi yang dangkal di Prospek Pembroke miliknya; Havilah Resources Limited (ASX:HAV) memperluas Cadangan Biji Besi Maldorky.